In October 2002, Phillip Reich was elected an Associate Partner of Mullen & Filippi following being hired at the Firm in November 1999. Phillip has practiced law in the area of workers' compensation since 1995. He represents employers, third party administrators, and insurance carriers with respect to workers' compensation asbestos claims and related matters. His practice has been primarily at the San Francisco and Long Beach WCAB District offices, and in doing so has developed working relations with the members of the Asbestos Applicant's Bar, Defense Bar, and Workers' Compensation Judges at each venue. Phillip has served as a Judge Pro Tem on several occasions at the San Francisco WCAB District office. He also represents employers, third party administrators, and insurance carriers with respect to Longshore Harbor asbestos matters. 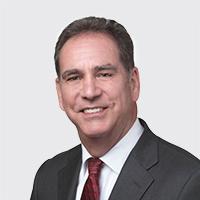 From 1985 to 1999, Phillip practiced law in the area of civil insurance defense litigation including products liability, construction, automobile, and subrogation. He has served as a San Francisco City & County Superior Court as well as Santa Clara County Superior Court appointed Arbitrator. Phillip received his law degree from the Santa Clara University School of Law in 1985. In 1982, he earned a Bachelor of Arts in Political Science from the University of California at Davis. Phillip is a member of the State Bar of California and a member of the workers' compensation section of the State Bar of California. He is a former member of the San Mateo County and Santa Clara County Bar Associations. In my career, I have discovered that all my clients are unique and complex with individual needs and goals. They have challenged me with problems that are always different, interesting, and intellectually stimulating. The result has been continuing professional and personal satisfaction making a difference in a changing legal environment. If I weren't an attorney, I would probably be a politician and historian. I am fascinated by problem solving and the history of conflict resolution. Since college, I have enjoyed growing grapes and making wine. I was born and raised in San Francisco, California.